STOX Energy Blog - How to make a winter run a whole lot easier? How to make a winter run a whole lot easier? A winter run, what happens to your body? First of all, a winter run does have it's charm, doesn't it? Fresh air and a healthy blush on your cheeks. But it's intenser to run in the cold. Not only the temparature, but also the running itself. This has to do with your breathing. When you breath in, you inhale moisture. This moisture warms your body up and then you exhale it again. The heat that leaves your body again also ensures that you cool down. When the air is cold and dry, you have to take more and deeper breaths and your body loses more heat and therefore energy. In addition, your heartbeat is lower in the cold. This is because it pumps less blood to the skin and limbs. When you go running, your heart needs to work harder to keep your body warm. That's why your heartbeat can be higher than if you run the exact same round when the temperature is a little higher. Because of this, the run feels heavier and you probably won't be able to run a PR in cold weather. This has nothing to do with the fact that you're less in shape during winter. Lastly, it is important that you perform a good warm-up when it's cold outside. A warm-up is always important, we've made that clear to you, but in the winter it's even more important! Once you take a step outside of your warm house, your muscles contract. This gives you less freedom of movement and makes it harder to move yourself forward. So, if you start off easily or do a few small warm-up exercises, you will reduce the chance of injuries. How do you make it easier for yourself in winter? You are often inclined to dress very thick in winter, making people dressing themselves with too much clothes during their run. Don't forget that you are going to exercise. Therefore, you warm up automatically when you are moving. But don't forget your STOX! 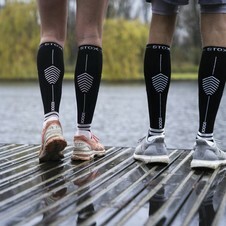 The Running Socks prevent your leg from expanding so the blood doesn't sink to your lower leg. This is ideal if you are running for a long time, because running for long periods will cause your blood not being pumped properly. The socks improve the blood circulation, which takes care of the problem of getting cold feet and legs. 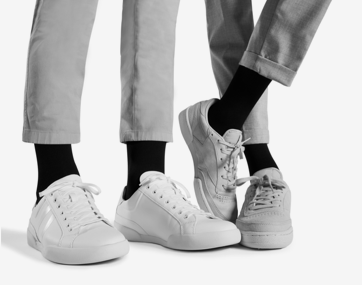 In addition, the socks offer optimal comfort, which gives you a light feeling. This prevents your legs becoming heavy or swollen up during your training. Finally, STOX fits with your style. And let's be fair, it is much more fun to run in a fasionable outfit! Because it is often difficult to drag yourself into the cold when you are just inside or even just got out of bed, you should make it yourself easier by, for example, keeping a running schedule. We've set up a running schedule for beginners. Or alternate it with a workout on the threadmill. Please be aware that this can be at the expense of your running technique, so also keep walking outside. You can also find a running buddy. You can motivate each other to go outside and overcome the cold. Follow the schedule together or just go for a run with each other. Another thing that can help you, is to plan your training. If you intend to run tomorrow morning or after work, it will be a lot easier than if you promise yourself 'I'm going to run twice this week'. Plan the day and time for yourself and you will notice that you are running with more ease. 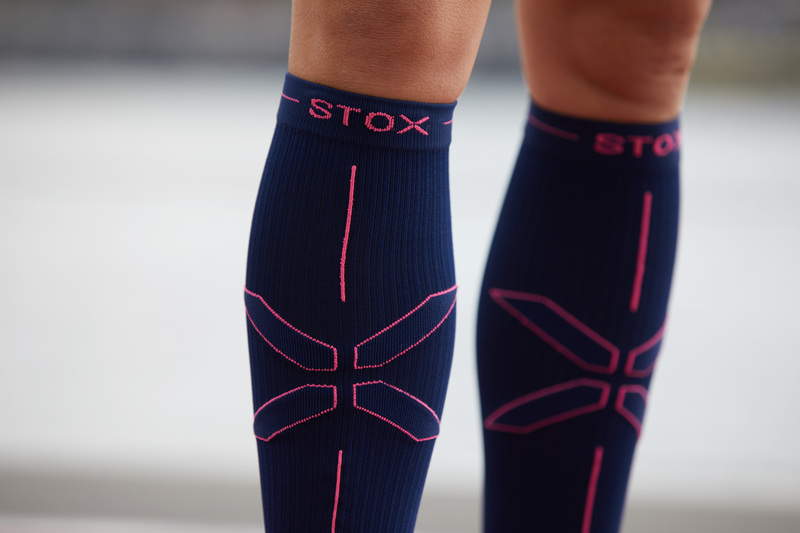 To recover faster after your winter adventure, you should wear your STOX Recovery Socks. 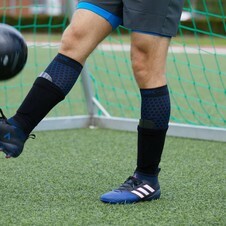 The socks improve the drainage of blood and fluid, which speeds up the recovery period of injuries like shin splints, calf and Achilles tendon problems. 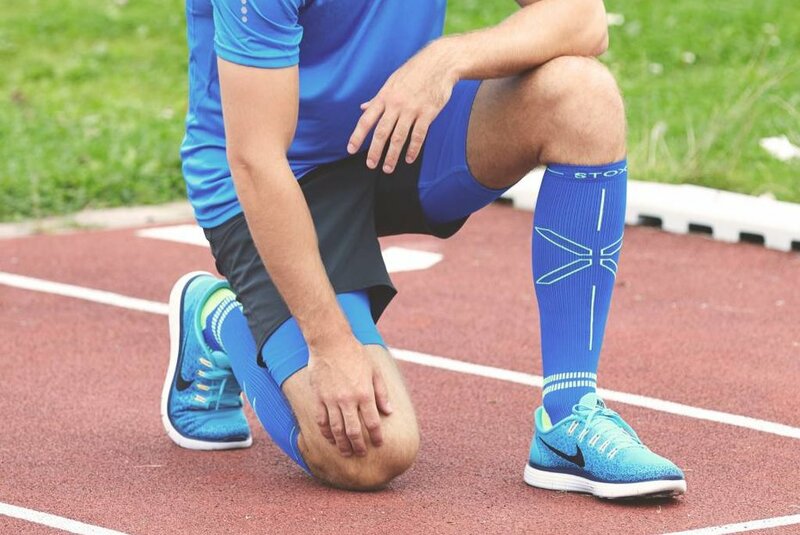 In addition, the Recovery Socks reduce muscle fatigue and promote the removal of body waste. This will help you to recover faster after a run. So if you're well prepared, it's a lot easier than you think. Let's go! > STOX Energy Blog	> How to make a winter run a whole lot easier?